Comtalk Inc. is proud to represent Xtreme Power, a global provider of power quality solutions,they are dedicated to providing the most reliable power protection for mission critical applications. Their innovative product portfolio ensures customer peace of mind with ideal solutions for maximum uptime. Xtreme Power manufactures UPS, power distribution units, and portable cooling products for a global network of OEMs and distributors. Headquartered in Denver, CO, our distribution centers across the U.S. and Europe ensure fast and accurate delivery. The Xtreme sells in Brand New Condition and as always it will be delivered in A++ condition. For more information visit our Library for Xtreme. Privately held with over 500 employees worldwide and profitable with strong 2-digit compound annual growth rate in sales since 2002. To connect businesses and consumers across the world by supplying reliable, high-quality and innovative unified communication solutions that increase communication, productivity and security protection. The GrandStream sells in Brand New Condition and as always it will be delivered in A++ condition. For more information visit our Library for GrandStream. 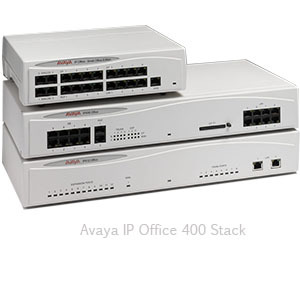 The Avaya IP Office 500 sells in Refurbished Condition and as always it will be delivered in A++ condition. For more information visit our Library for Avaya IP Office 500. The Avaya IP Office 400 sells in Refurbished Condition and as always it will be delivered in A++ condition. For more information visit our Library for Avaya IP Office 400. The Avaya 2420 Telephone brings flexibility and localized capabilities to the digital telephone, while delivering access to the full complement of Avaya Communication Manager features. Its streamlined design is geared for the advanced enterprise telephone user. Complementing the Avaya 2400 Telephone line with the use of a large display, the user interface is designed to improve productivity and service ability. The 2400 series telephones bring Avaya state-of-the-art technology directly to your desktop, delivering efficient service and superior voice quality, along with cutting-edge communications features. Label-less call appearance/feature keys simplify administration. Local call log and speed dial directory enhance productivity. Local directory with 104 entries — including speed dial numbers with up to 24 characters. The Avaya 2420 Digital Deskphone sells in Refurbished Condition and as always it will be delivered in A++ condition. 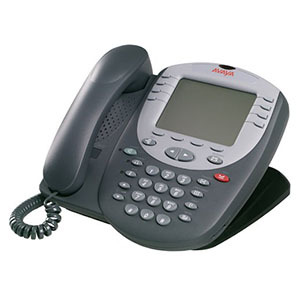 For more information visit our Library for Avaya 2420 Digital Telephones. Inspired by customer feedback, the Dell PowerEdge R610 server is engineered to simplify data center operations, improve energy efficiency, and lower total cost of ownership. combined in a rack server that can help you better manage your enterprise. The Dell PowerEdge R610 is a key building block for today’s data center. 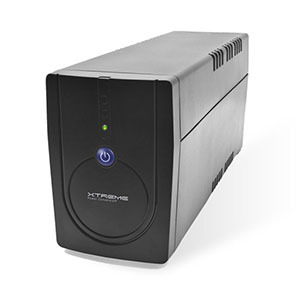 Designed for versatility and high performance, it provides many of the virtualization, system management, and energyefficiency features you need now and the scalability necessary to change as your business grows. This general purpose Intel® processor-based 2-socket 1U server is ideal for corporate data centers and remote sites that require a dense, highly available single- or dual-processor server at an excellent value. The PowerEdge R610 follows the 11th generation PowerEdge portfolio specifications and features the same system design commonality and reliability true to the entire portfolio. All 11th generation servers are designed to make the experience easier. We put all external ports, power supplies, LCD screens, and LED lights in the same location for familiar experience as well as easy installation and deployment. 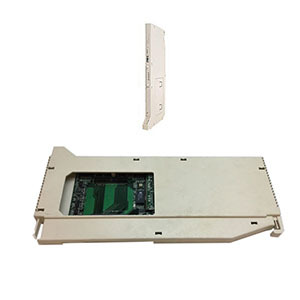 Robust, metal hard drive carriers and organized cabling are designed to help improve component access and airflow across the server. 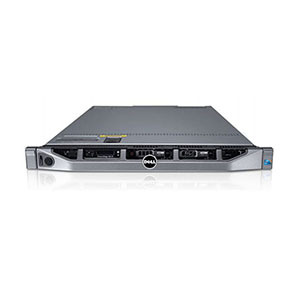 The PowerEdge R610 provides an interactive LCD screen or LED display positioned on the front of the server for ease of monitoring and troubleshooting condition of the server. and significant virtual machine-per-server capacity versus the previous generation. With optional factory-integrated virtualization capabilities, you get tailored solutions—built with the latest technologies from Dell and our trusted partners—which allow you to streamline deployment and simplify virtual infrastructures. Choose your hypervisor from market leaders such as VMware, Citrix, and Microsoft, and enable virtualization with a few mouse clicks. Dell’s advanced thermal control helps optimize performance while minimizing system power consumption, ultimately driving energy efficiency across our latest core data center servers. These enhancements, over previous generations, include efficient power supply units right-sized for system requirements, improved system-level design efficiency, policy-driven power and thermal management, and highly efficient standards-based Energy Smart components. Dell’s advanced thermal control is designed to deliver optimal performance at minimum system and fan power consumption resulting in our quietest mainstream 1U servers to date. Also part of the Dell OpenManage portfolio is the Dell Management Console which is included with every Dell server and provides IT administrators with a consolidated console view of their IT infrastructure. and in-depth domain knowledge for the lowest TCO. 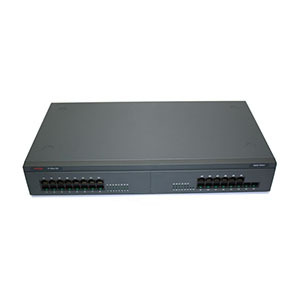 The Avaya S8800 Server (700501083) sells in Refurbished Condition and as always it will be delivered in A++ condition. 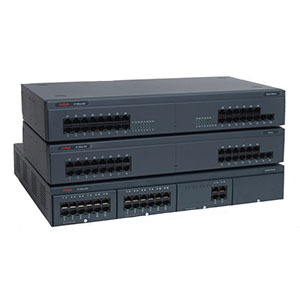 For more information visit our Library for Avaya S8800 Server (700501083). 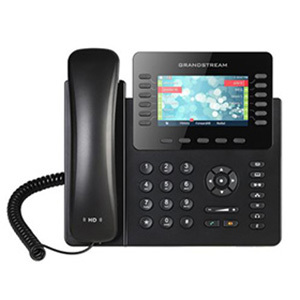 Delivering all the functionality of a regular, wired desk phone, the TransTalk 9040 wireless handset provides a full set of call appearance/feature buttons, delivering one-touch access to conference, redial, hold, mute, transfer and other standard business features. The backlit display is easy to read in the dimly lit reaches of a warehouse, or wherever lighting is not particularly favorable, and is also visible when the phone is sitting upright in the battery charger, increasing its usefulness even when users are at their desk. comes with it own belt clip and wrist strap. Standard battery life gives you 3 hours of talk time, and 22 hours of standby. You can also buy an extended use battery for 8 hours of talk and 72 hours of standby. A Fast Battery Charger will charge two batteries at once and recondition them at the same time. Battery backup will give you nearly unlimited talk time if you use 2 batteries with the standard battery charger. The TransTalk 9040 wireless handset works up to 900 feet away from the Radio Module. The system can be divided into two zones with approximately 1 million square feet of coverage—it works with a manual handoff as you move from zone to zone. so important to your business. Support staff. Keeping a small business lean andsharp means that support staffers are constantly on the move: checking details, solving problems small and large, getting information from colleagues in other areas, pushing to get things done. With the TransTalk® solution, they don’t have to leave everything else behind when a task that takes them to another part of the business comes up. Managers/supervisors. Managers and supervisors constantly move around, coaching, solving problems and offering their support. They can be more effective if they’re not out of reach when they’re away from their desks. Experts. People with specialized skills—doctors, IT professionals, designers, engineers—need to be where the action is. And that’s not necessarily at their desks. Security. Security personnel need to be canvassing the business premises—and they especially need to be in touch. They need the ability to summon help if it’s required and to report in. With TransTalk 9040, they’ll be able to do just that. >Manufacturing. Your employees will be more effective if they’re available. Problems get solved faster. Changes can be made in an organized way. Critical information can be exchanged in real time. Warehouse. Employees who work in your warehouse can choose an optional headset and fill and expedite orders, answer questions and keep the goods and information flowing—all with their hands free. Peak days/seasons. Does your business experience temporary expansion on special days or even seasonally? The TransTalk 9040 can help you maintain the flow of communication without the expense of having to hard-wire new phones. The TransTalk 9040 Wireless Handset sells in Refurbished Condition and as always it will be delivered in A++ condition. 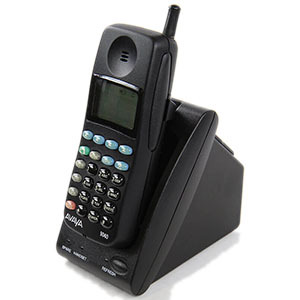 For more information visit our Library for Transtalk 9040 Digital Wireless Handset.